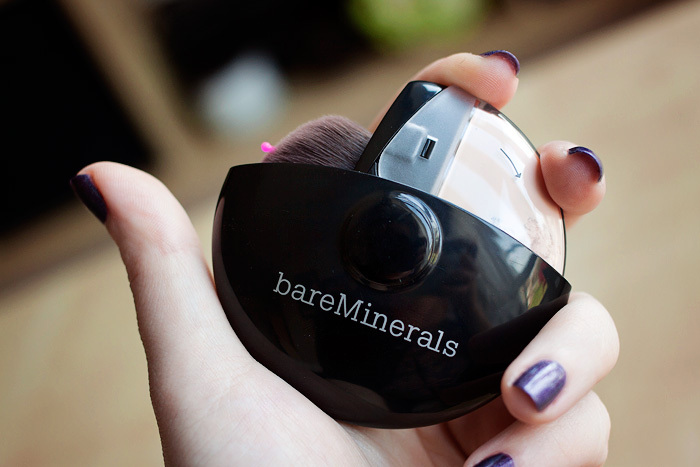 One of the best beauty innovations in recent times was when bareMinerals finally made their sifters, lockable. 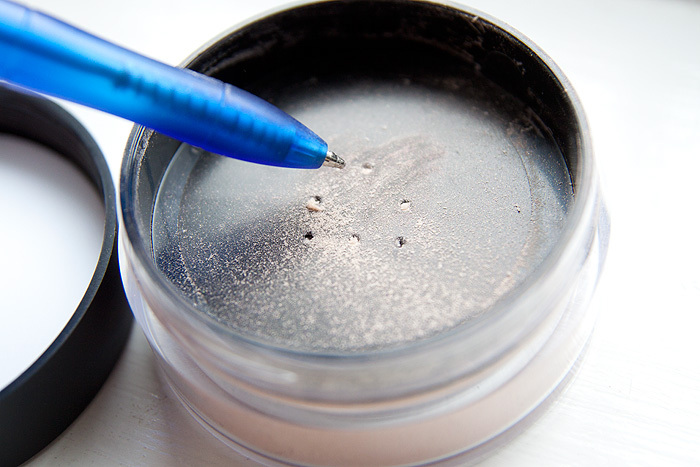 It was a game-changer… no more loose minerals floating around on the wrong side of the pot, no more having to poke selectively through the labels with a biro, exposing only a few sifter-holes at a time. Simply genius. 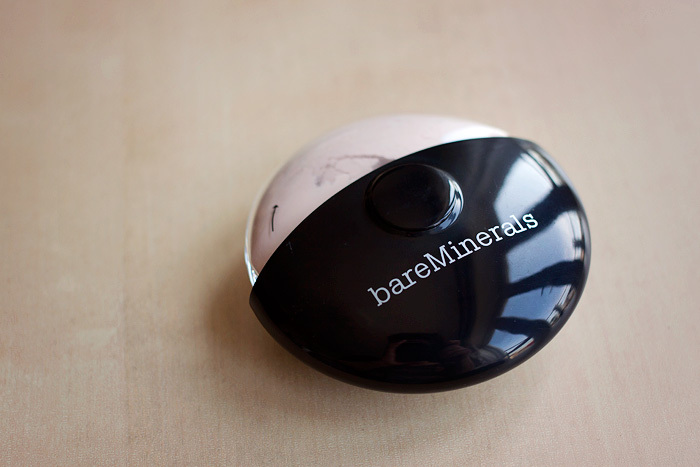 Unfortunately, I can’t say the same about the latest innovation coming from bareMinerals HQ. 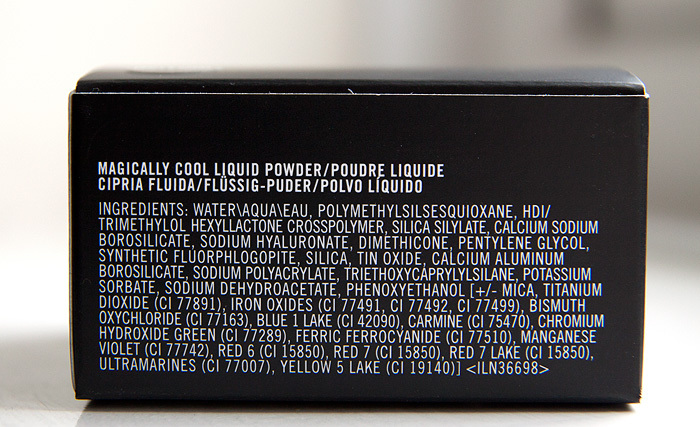 The brand’s Limited Edition 15th Anniversary Mineral Veil Finishing Powder looks the damn business, let’s be honest. 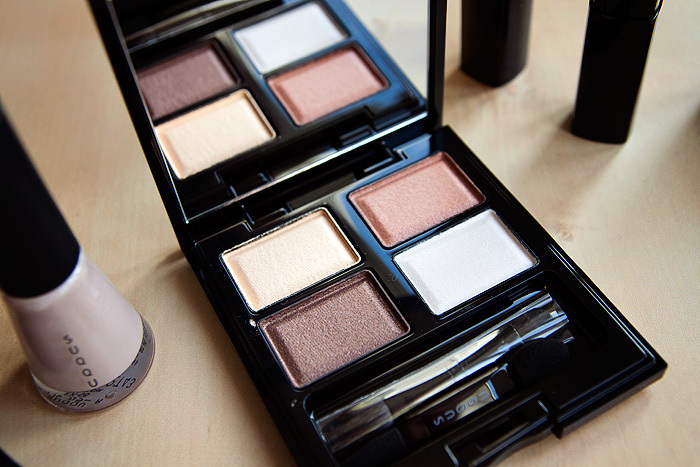 It’s basically a cross between a gadget and a beauty-item and you can’t tell me that you beauty-loving souls don’t love a bit of gadgetry with your cosmetics, ‘cos I know you do! 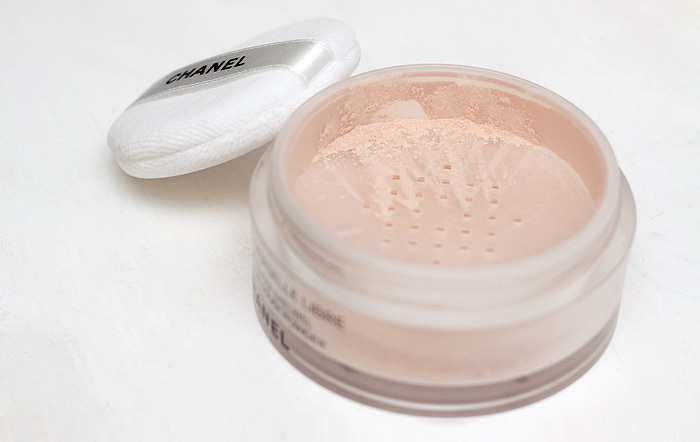 The 8g of Mineral Veil powder is housed in one end of the revolving “clam shell”, while at the other… a soft brush dispenses the product onto your face, blurring imperfections and giving your skin a final gloss. Now, whilst the product does all of those lovely things (I’m a long-time fan), unfortunately the limited edition dispenser doesn’t really add much to the experience. 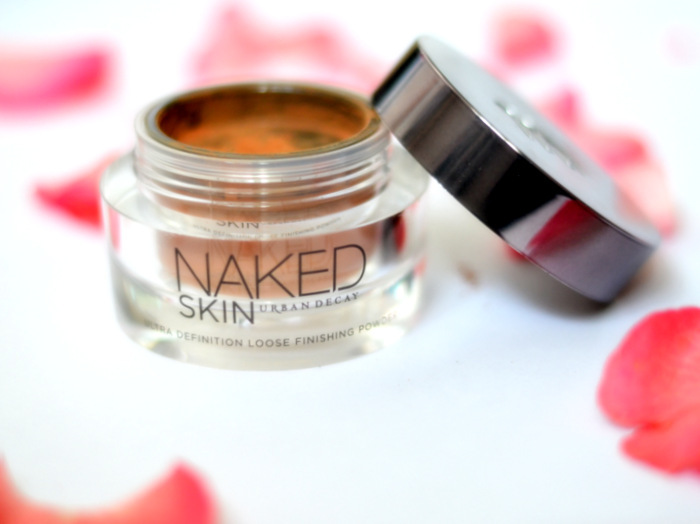 First things first, it’s not refillable. 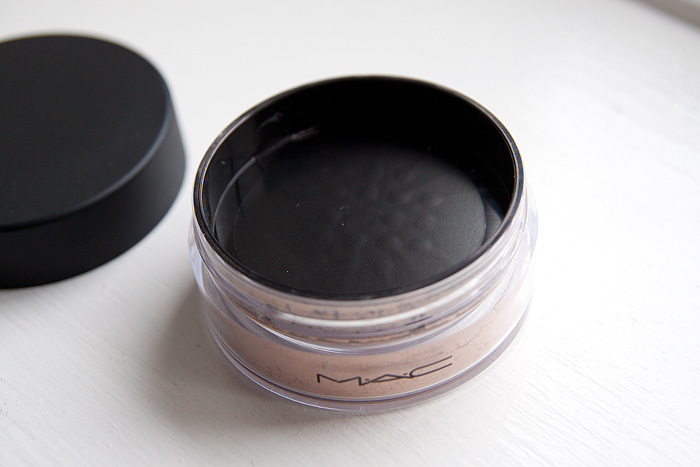 There seems to be some confusion online about whether or not you can top-up the contents once they’ve run out. You can’t. This is a one-off novelty purchase, and this irks me a little. Ok, a lot. 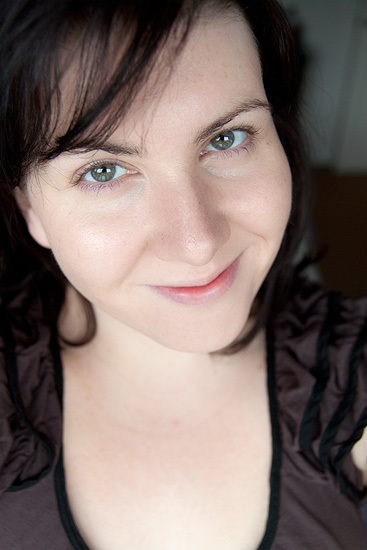 What if I’d fallen in love with it only to discover that my product-lust was subject to a time-limit? 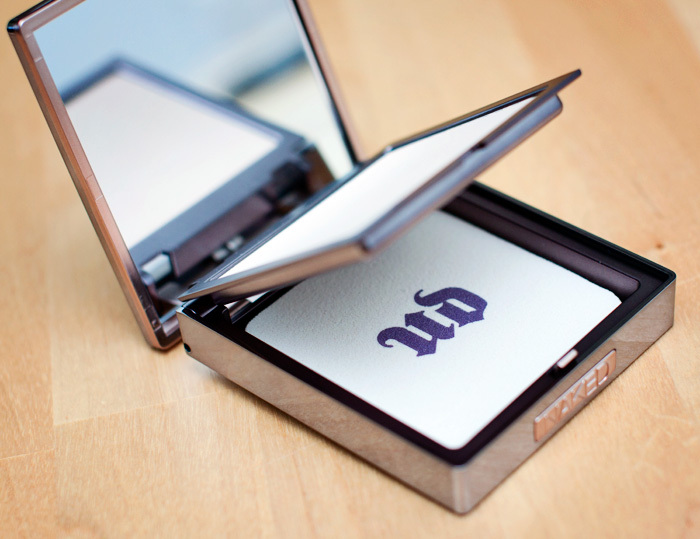 Secondly, it takes a lot of effort to get the powder to distribute through the brush evenly. 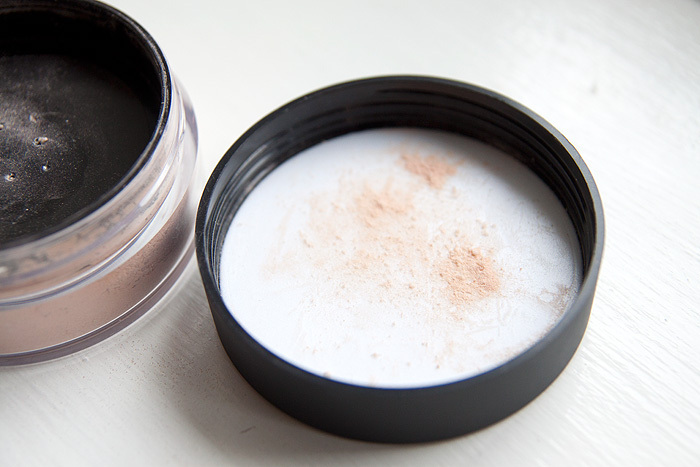 During normal use, you’d just dip your brush into the sifter to coat the tips with a fine layer of powder. 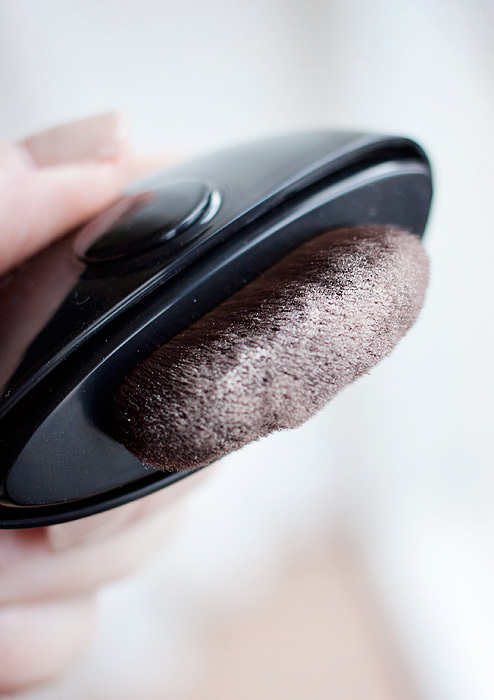 With this gadget, you’re working from the opposite end of those brush fibres and the powder needs to work its way down to the tips from the base. The dispenser is only able to flow product from two holes at either end of the brush (shown above where the two pink “plugs” are located). My experience over the last few weeks has shown that nine-times-out-of-ten, I just don’t get an even distribution of product across the brush head. It’s not unusable but it’s definitely a step down from the usual application method. 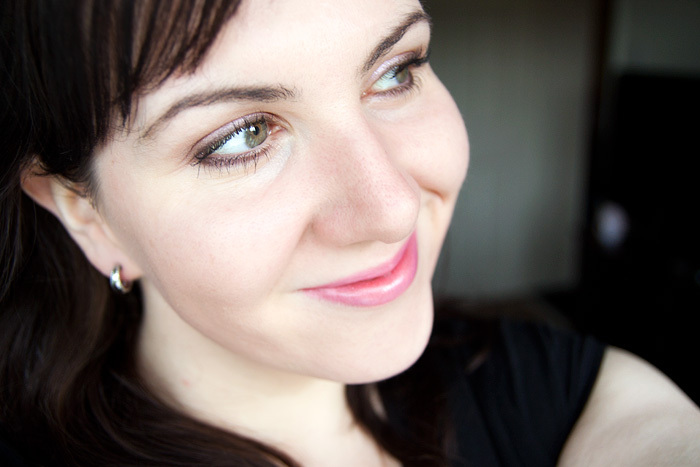 Not to put an entire downer on the product, I truly can’t deny that it’s really convenient for travel and I haven’t discovered any spillages or leaks in my handbag. 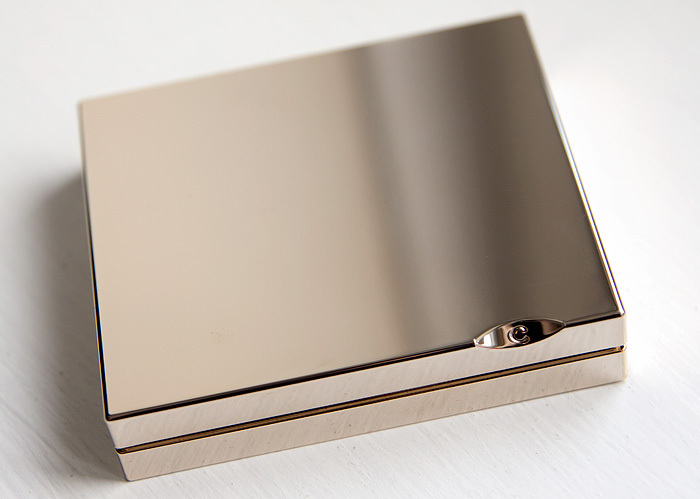 The dispenser locks securely when not in use and it is a pretty neat solution for taking down the shine on a midday face. 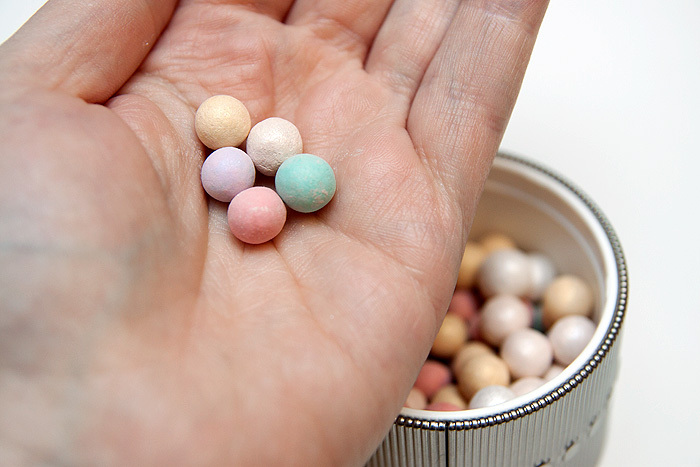 Ultimately, it’s a great idea but it needs fine-tuning… I’d love to see this product return as a permanent (refillable) item after a little product development. 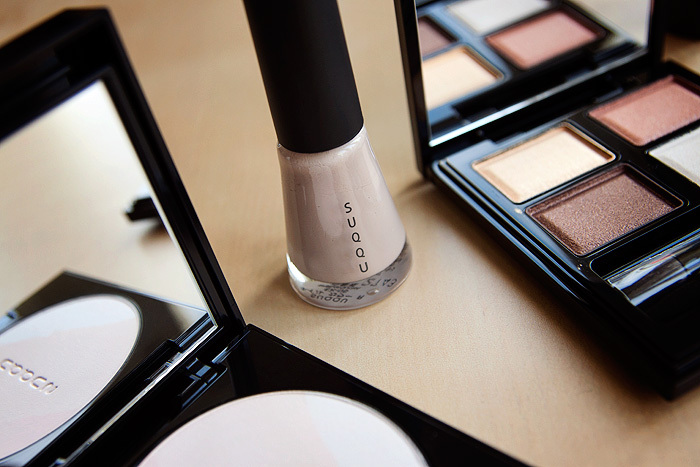 When it comes to setting your makeup, do you have a preference? 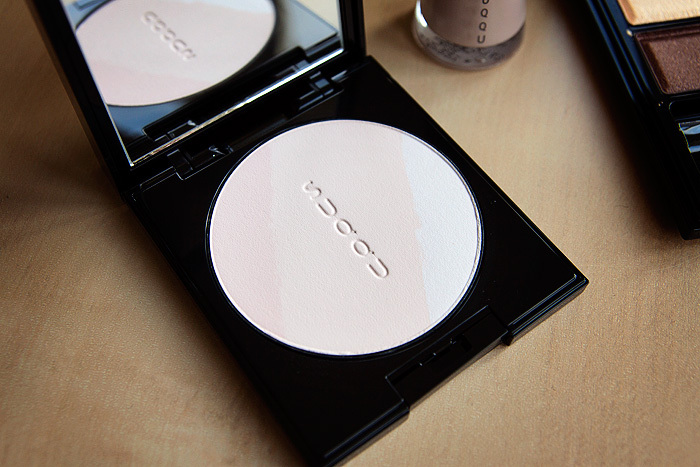 For me, I feel that there’s a certain sacrifice to be made when it comes to accepting the convenience of a pressed powder and the older I get (*cough* more wrinkly *cough*), the less I’m willing to compromise on the ultra-fine, light coverage that a loose powder can provide. 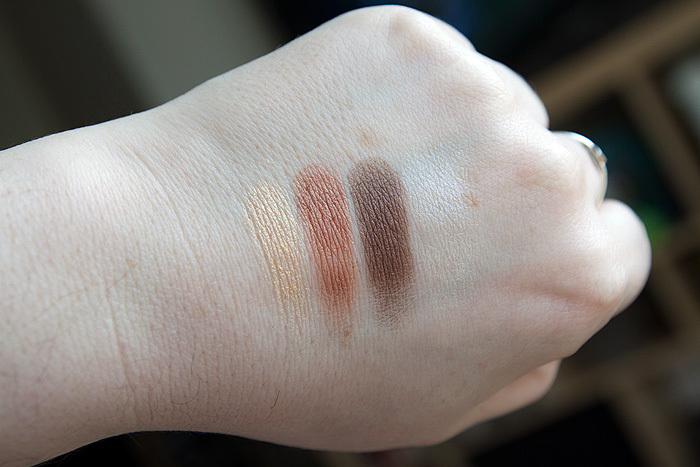 The two shown above are a couple of favourites in my stash (particularly the Becca – which is just so, SO, fine) but I can never make up my mind between them! 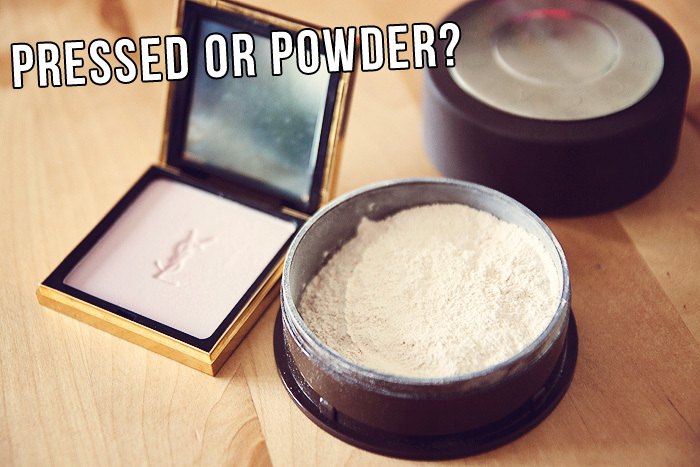 Pressed or powder? Which do you prefer and why? 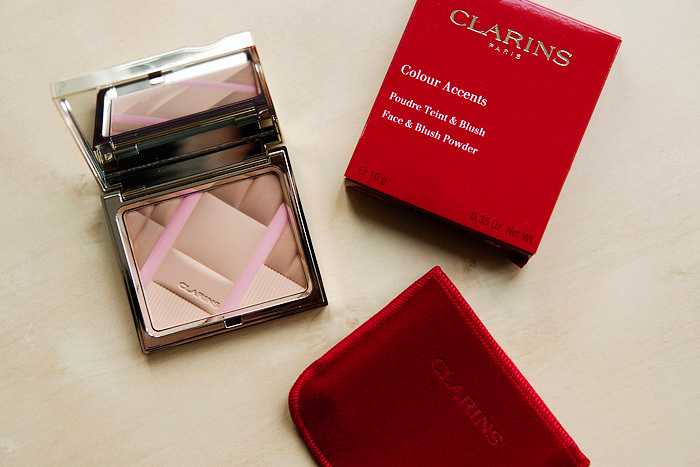 I adore these collector face palettes that Clarins release, I don’t know how they manage to create such softly luminous powders but whatever it is, it’s working. Really, really well. 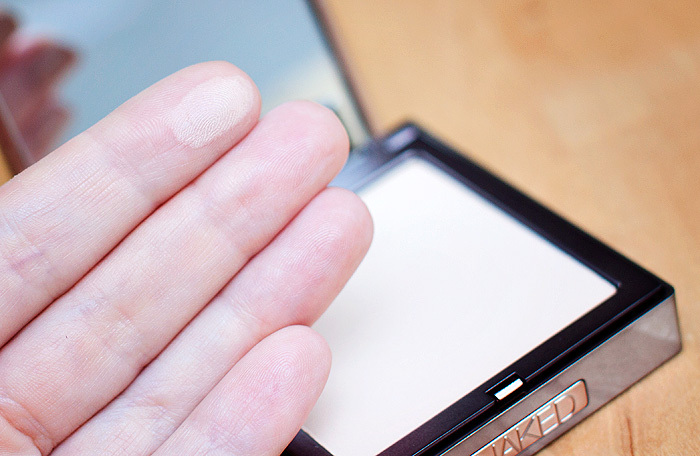 I can speak only for my combo/dry skin type but for me, powders are a tricky thing. 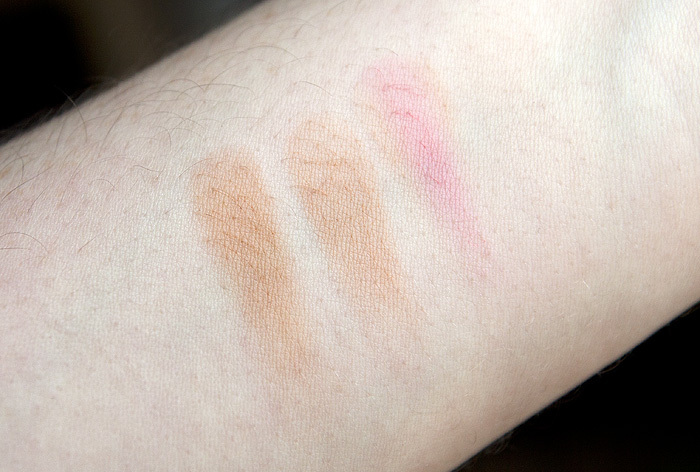 I want something that will set my foundation, concealer and cream blush but I don’t want it to mattify too heavily. 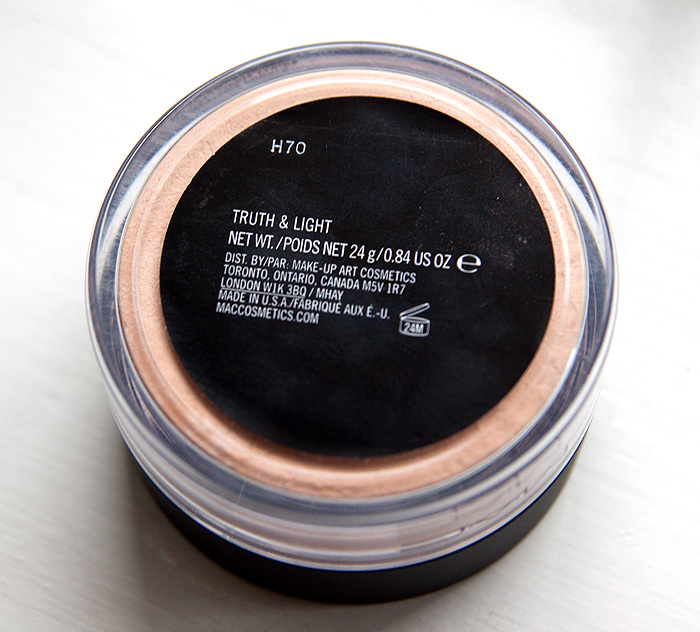 Sure, I need to take the edge off the shine on my t-zone but I also want it to impart a luminosity to my complexion. 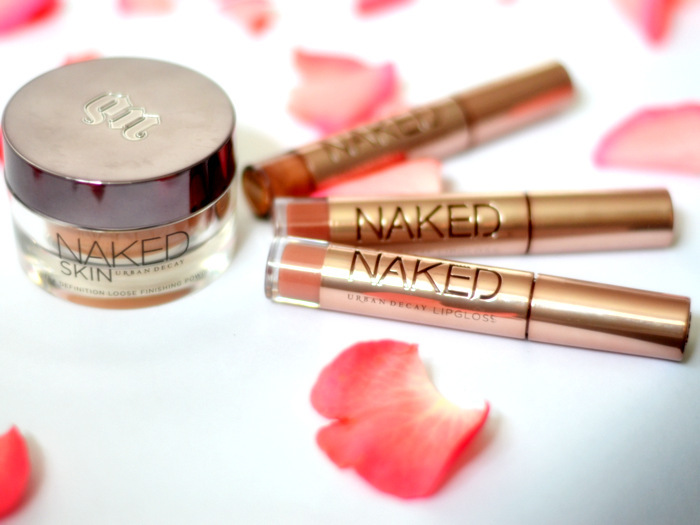 Basically, I want it all. 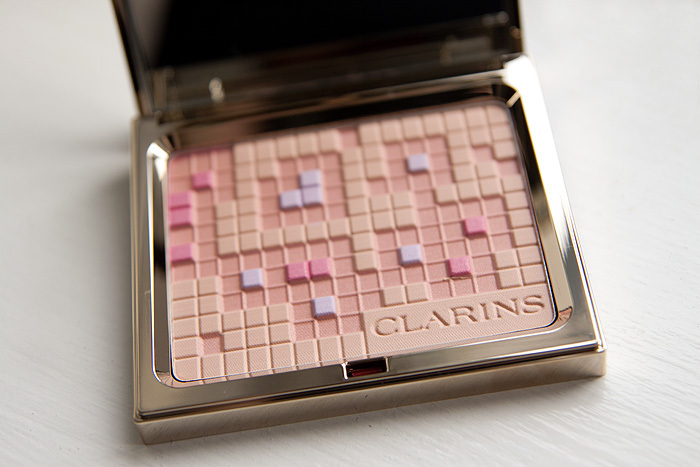 Clarins’ Spring 2012 offering is more warm-toned than their Autumn face palette. 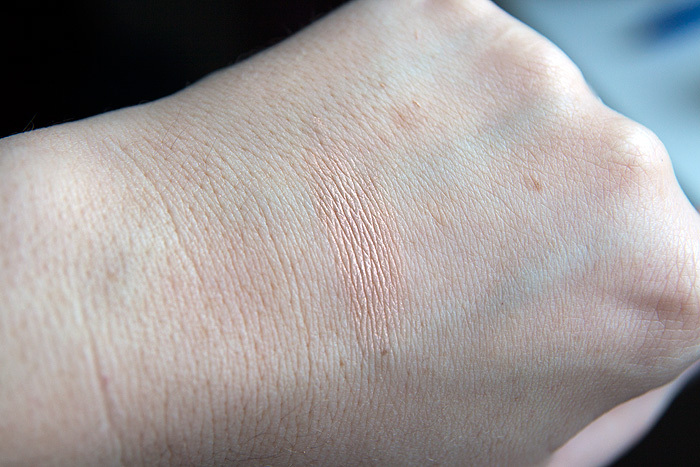 I find it perfectly wearable on my cool-toned skin though, so don’t let that put you off. 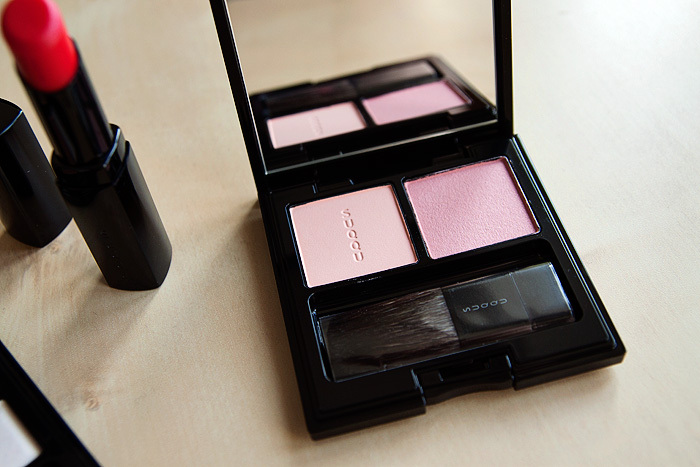 The Colour Breeze Face & Blush Powder* imparts the same kind of luminosity whilst setting both liquid and creme products well. It’s sheer and it’s flattering. Ultimately, it’s everything I’m looking for. Again. 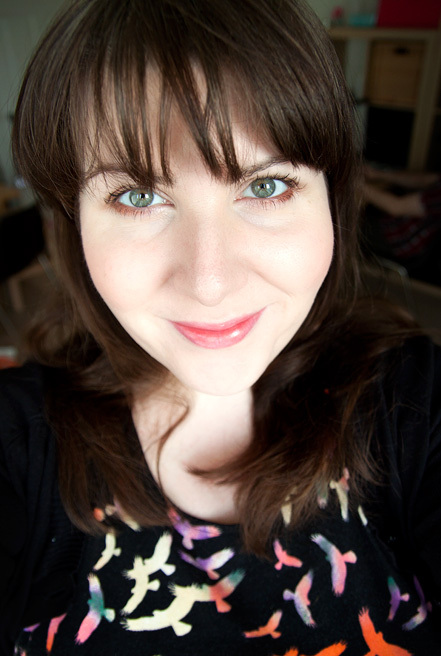 It’s not quite as pretty as previous versions but I’m not afraid to use my makeup and take off the oversprays etc, so that doesn’t bother me. 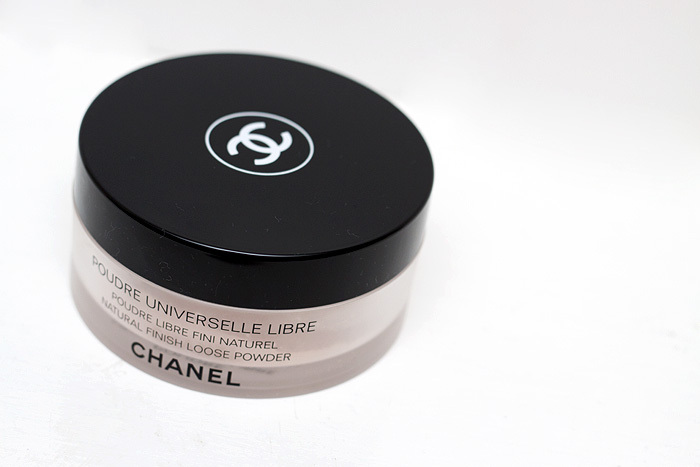 Between these and the Guerlain Meteorites, I just don’t think that I need to explore any other powder options for dry skin. Holy Grail people, holy. grail. Also, just to be super-brilliant, Escentual.com are currently offering this at a saving. 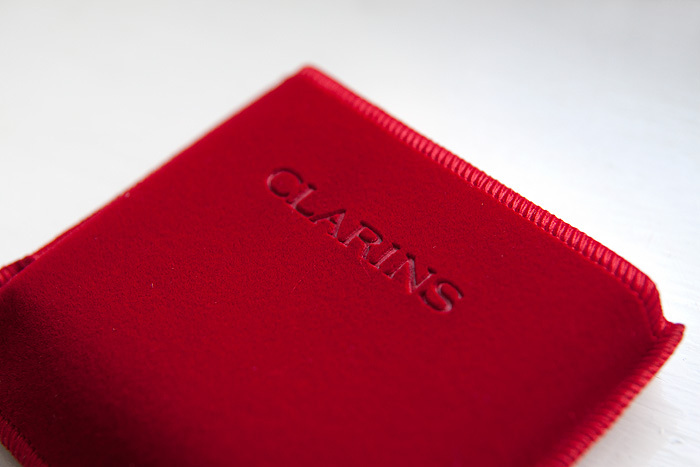 You can buy online for £25.00 (that’s £5 less than RRP). 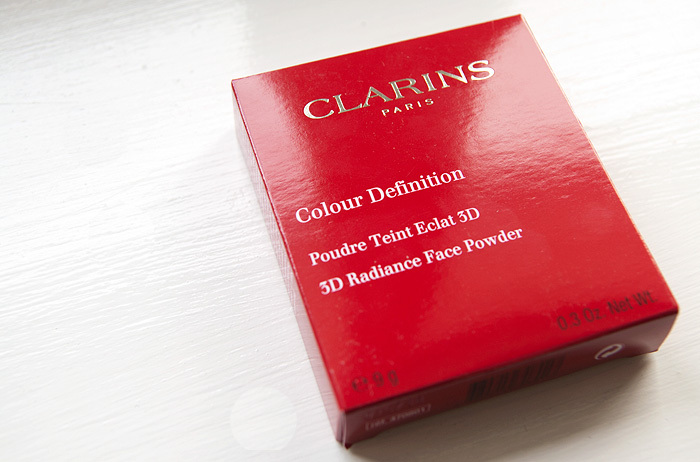 Clarins have released a radiance powder this Autumn which promises to melt into the skin for a naturally radiant complexion. 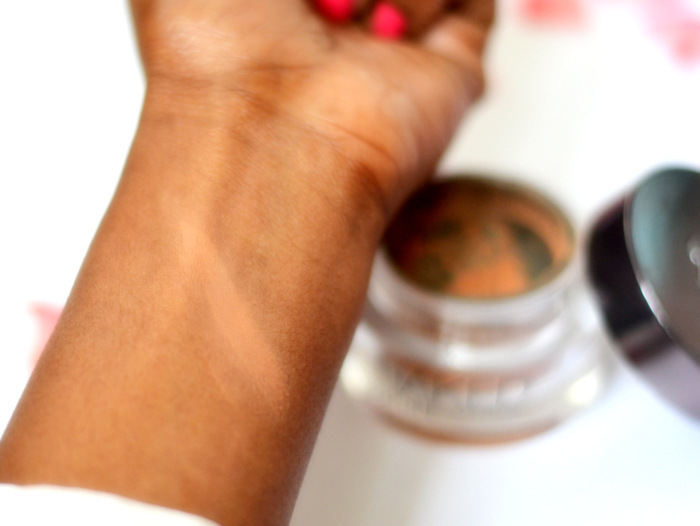 For a dry-skinned gal like me, those claims make my heart beat just a little bit faster. 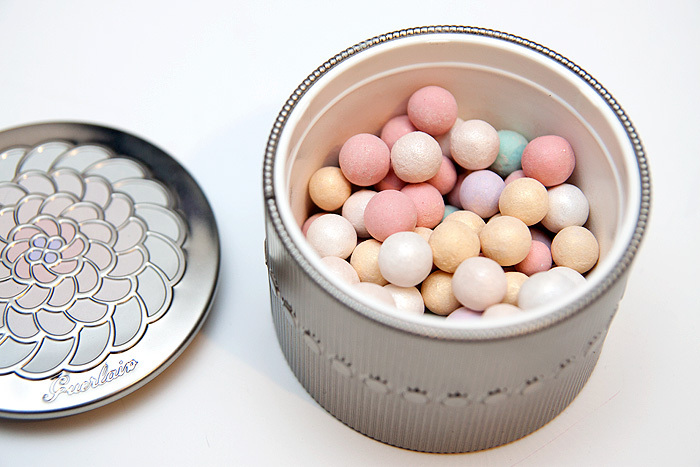 The theory behind the varying hues in the palette remind me of my Guerlain Meteorites. 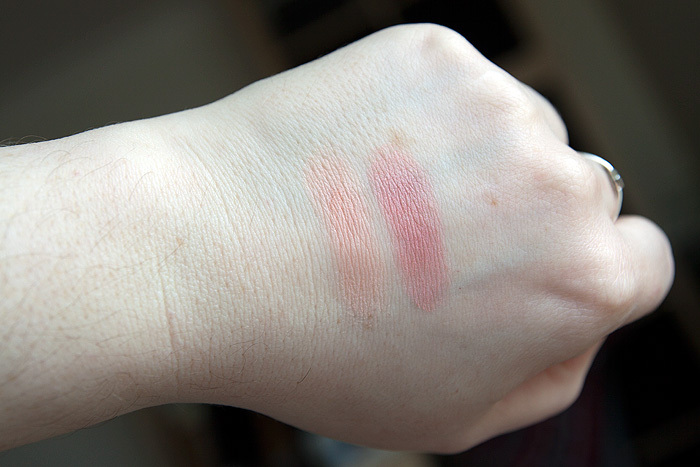 My understanding of this colour correction is that the lilac tones should normalize any sallowness while the deeper pink will give a lift/highlight to the complexion. 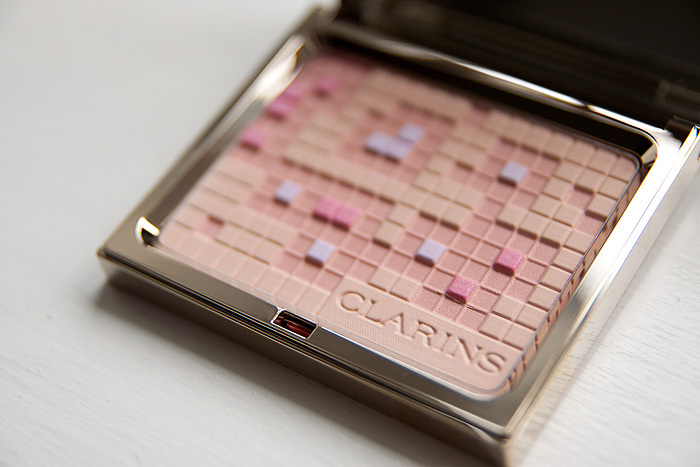 Those harder working pixels sit on a base combination of beige and peach to create an overall luminous finish. Isn’t it pretty? OK, so it’s lacking the WOW! 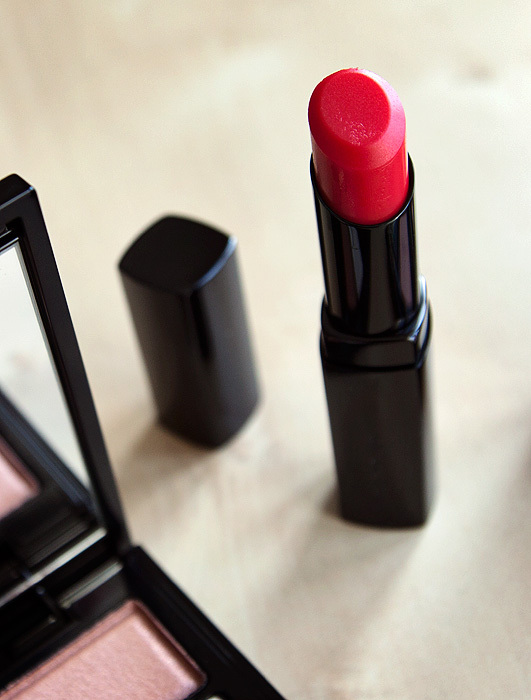 factor that the Guerlain delivers but as a Computer Repair chick in my alternate life, that pixellation speaks to me. 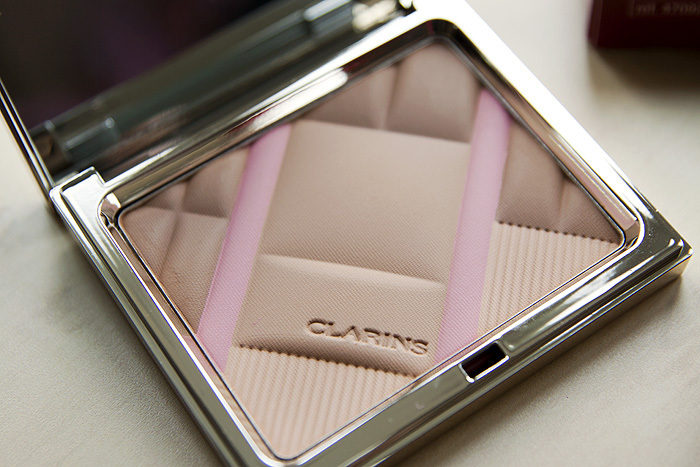 The packaging is as luxe as you would expect from Clarins, the signature pale gold – so shiny that the outside totally works as a mirror. 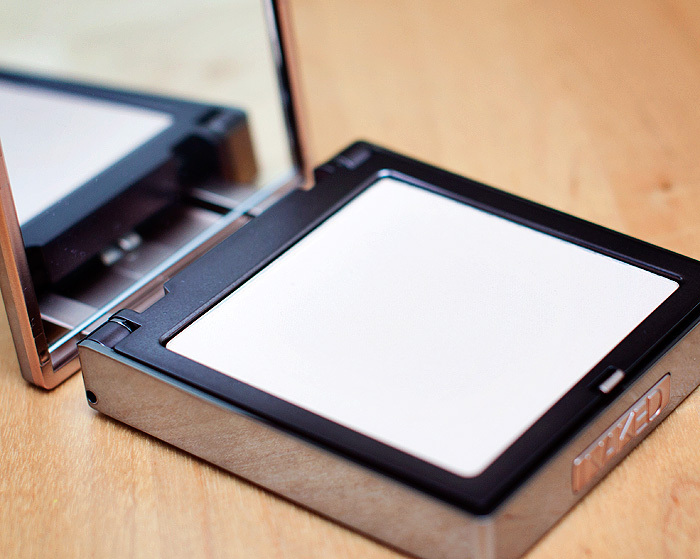 I should know, I plucked my eyebrows using it because I was both too lazy to find my proper mirror OR actually bother opening the compact to use the ‘proper’ mirror provided. 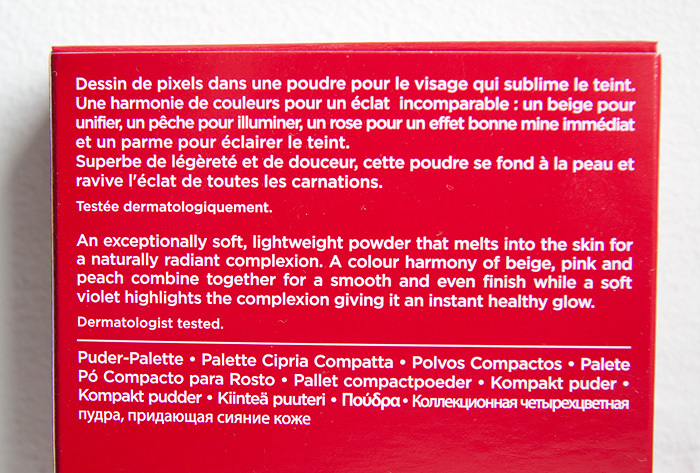 The Color Definition 3D Radiance Face Powder is firmly textured, I don’t get any product dust when sweeping my brush over the surface. 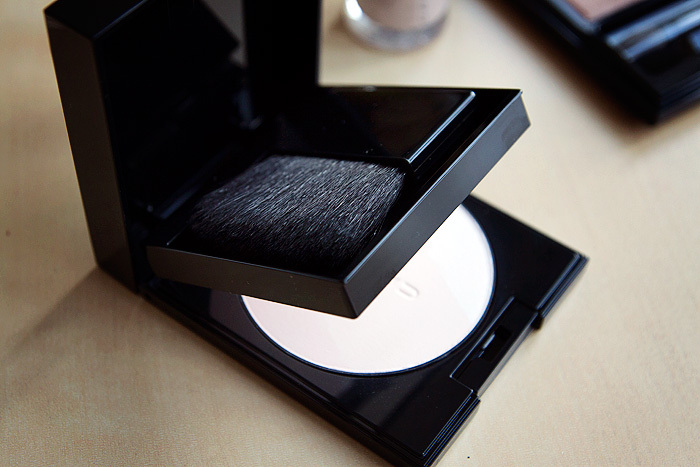 I’d recommend using a natural hair brush to pick up the powder as you could well be there all day with something that doesn’t grab product so efficiently. 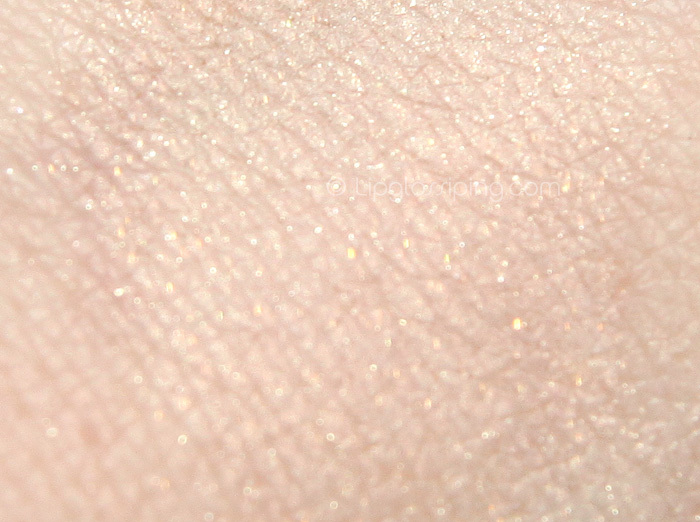 The effect is subtle but noticeable, it seems to soften the effect of my pores but unlike my Guerlain Meteorites, leaves behind no trace of sparkle. 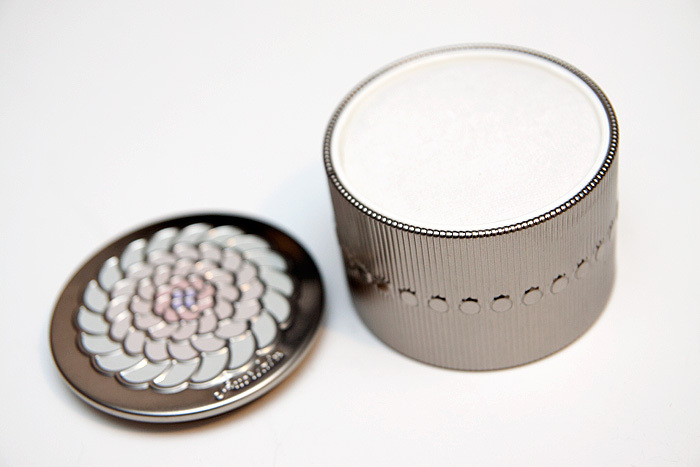 If you’ve always wanted the luminizing, softening effect of the Meteorites but were concerned about the sparkle, this could be the product you’ve been waiting for. 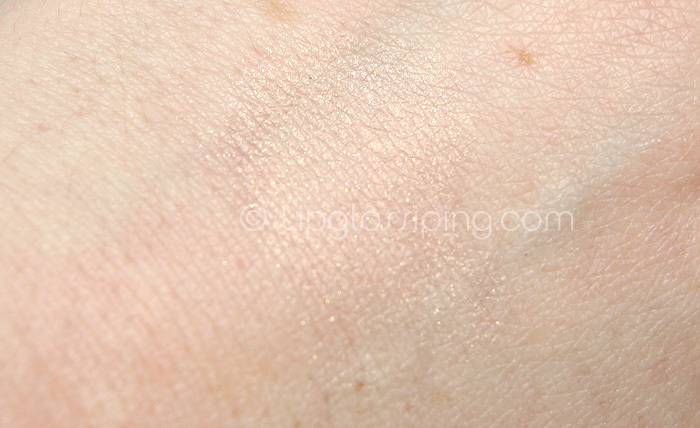 There *is* sparkle in the peach shade (the indented parts of the palette) but this doesn’t seem visible on my skin. 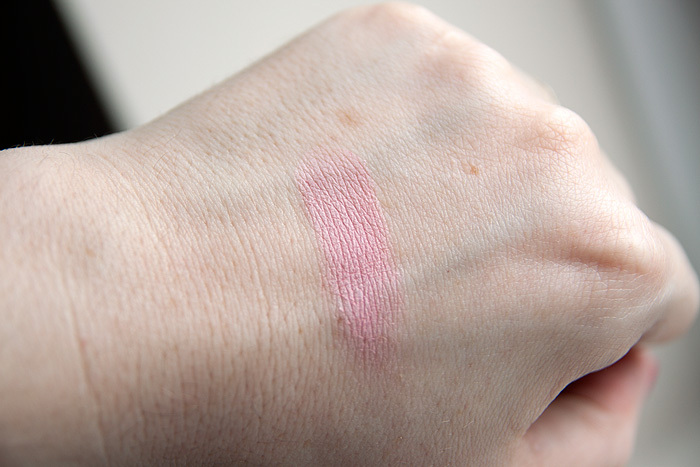 The swatch shows it looking quite pigmented, but it’s not – You’d have great difficulty using this as a blush… which is just as well really, seeing as it, err, isn’t one. 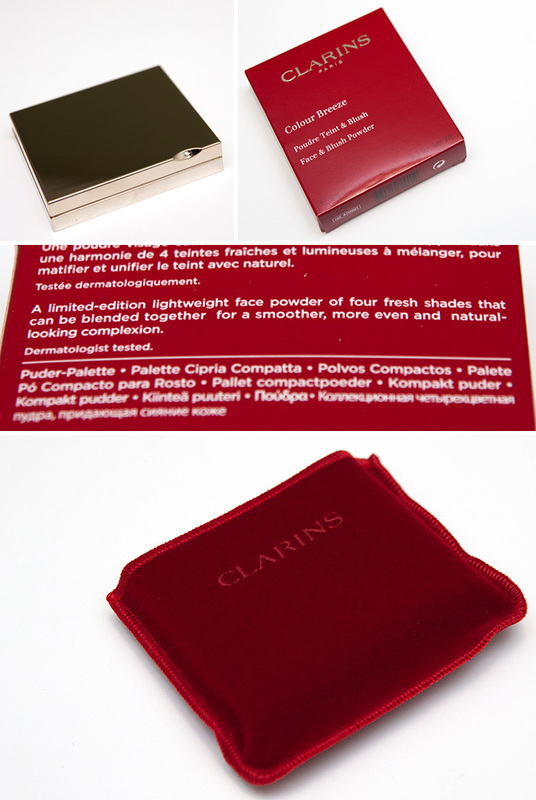 Overall, this is a really strong offering from Clarins and if there is nothing similar in their core product line, it SO shouldn’t be Limited Edition. 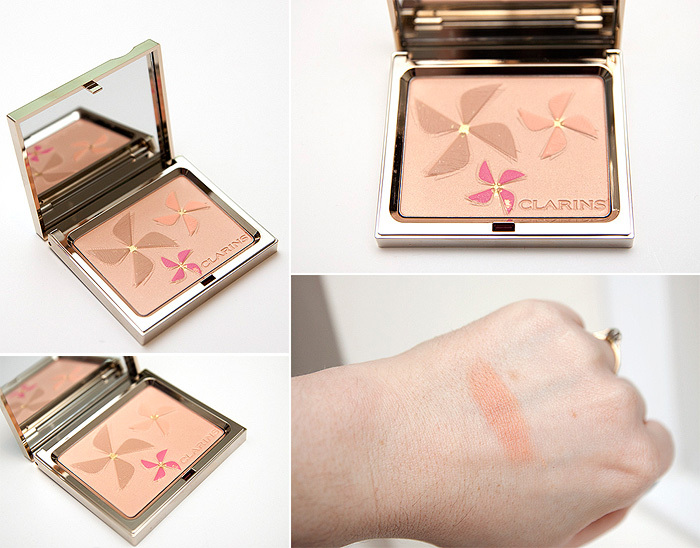 I’m flagging this one up as something that should be checked out on counter ASAP – it’s cheaper than the Guerlain, sensitive noses will be pleased to hear that this isn’t highly-scented and will be more forgiving on oilier skins. 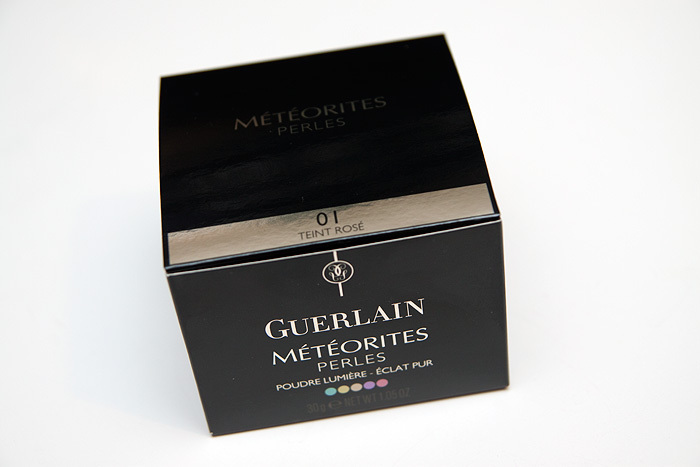 It’s a realistic and worthy alternative to the iconic Guerlain Meteorites. 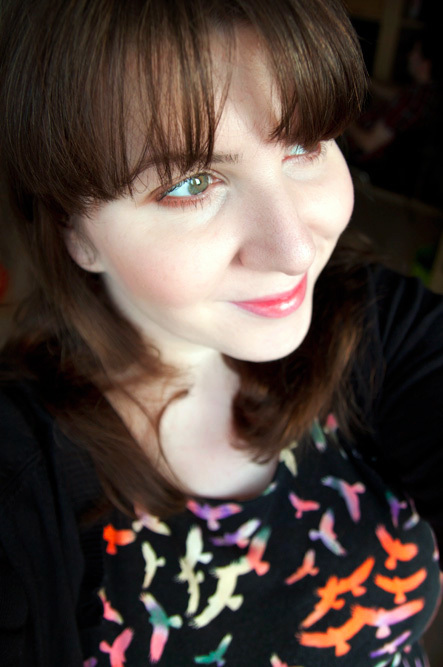 A FOTD showing a sheer/medium coverage foundation with the Clarins face powder dusted ontop (and a bit of a “Tim Nice but Dim” smile). 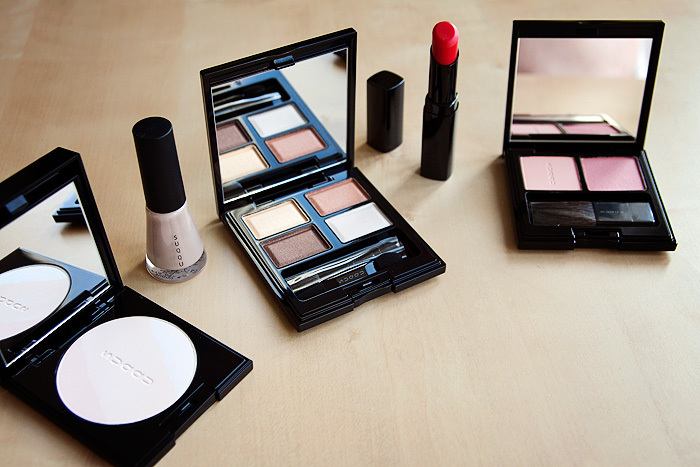 When I was making a birthday purchase for a dear friend, I couldn’t resist keeping the GWP for myself. I know that’s naughty… but don’t act like you wouldn’t. You wouldn’t? Ok… now you’ve made me feel *really* bad. 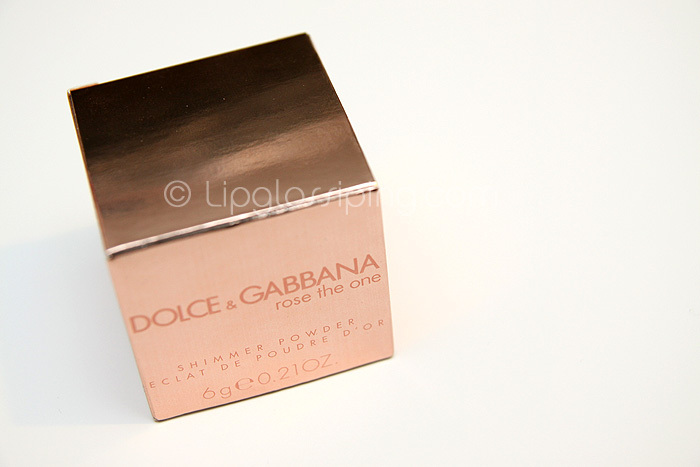 Dolce & Gabbana Rose The One has been a hit on counters since it was launched last year. 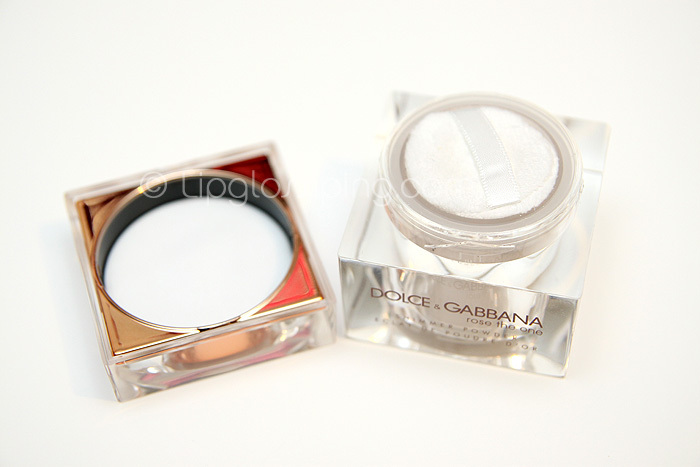 It’s a very soft, feminine floral that updates the traditional rose scent and reintroduces it to a younger generation. 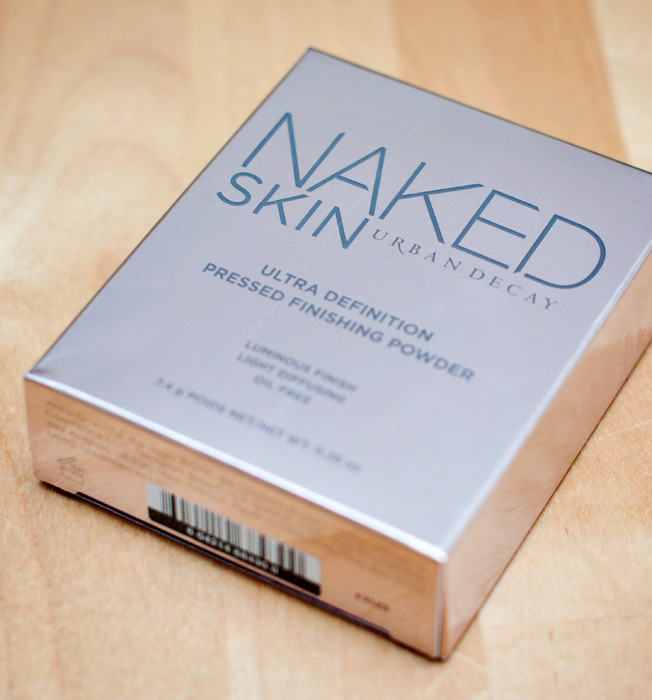 Of course, as with most fragrance successes comes the spin offs… the body lotions, shower gels and in this case… the body shimmer powder. 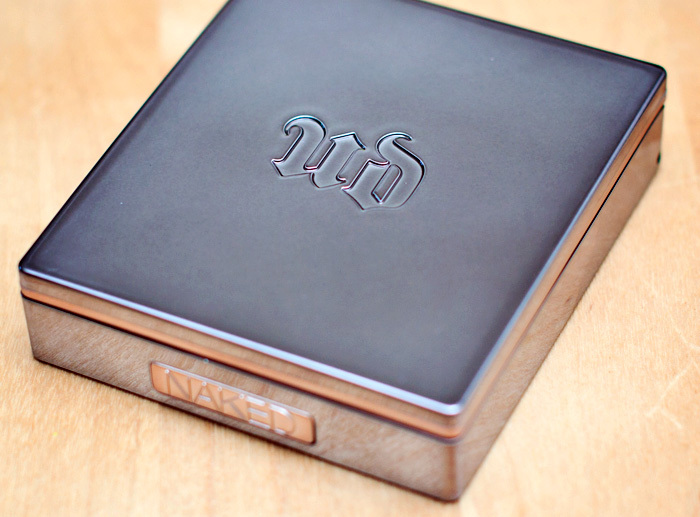 I received a ‘mini’ 6g size free with my fragrance order and have been thoroughly loving it. 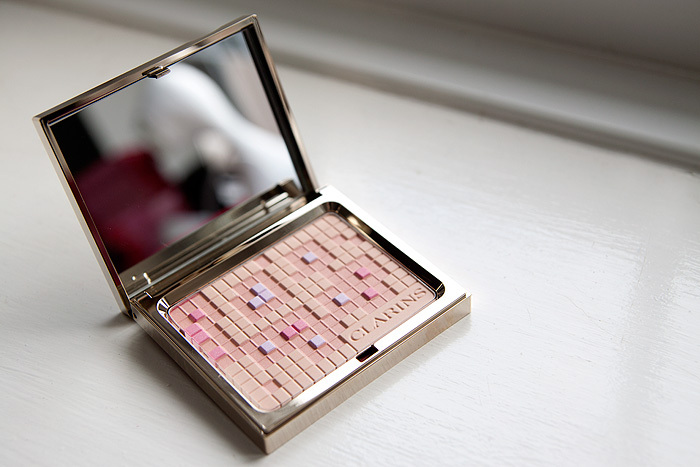 As an objet d’art, it’s a really pretty thing to have sat on my dressing table. 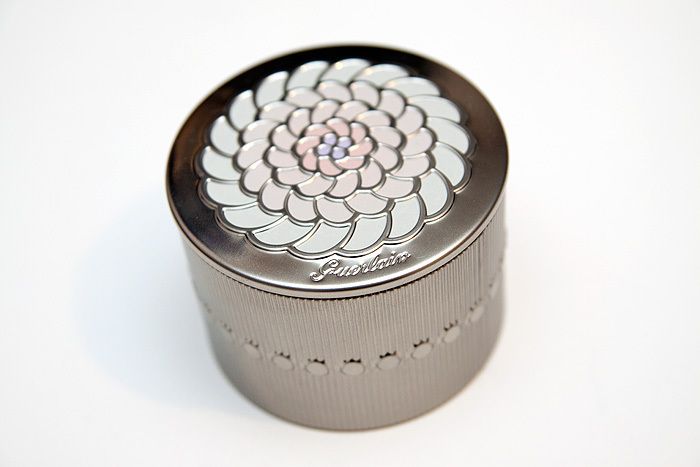 As soon as you remove the lid you become aware of the delicate scent of roses and grapefruit. 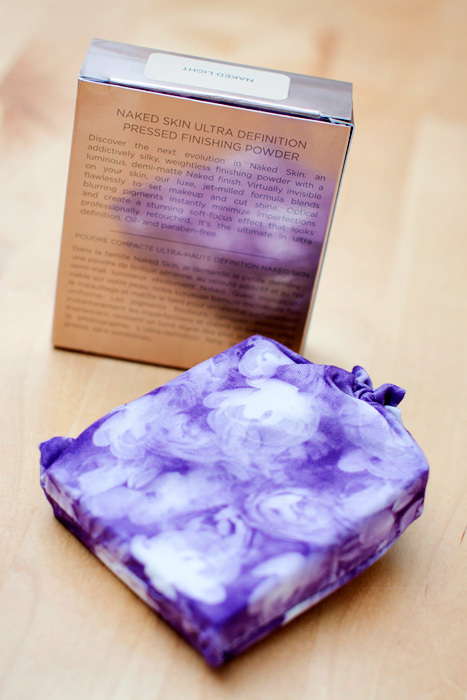 It smells like a really clean floral… immensely feminine and quite suited as a body product. 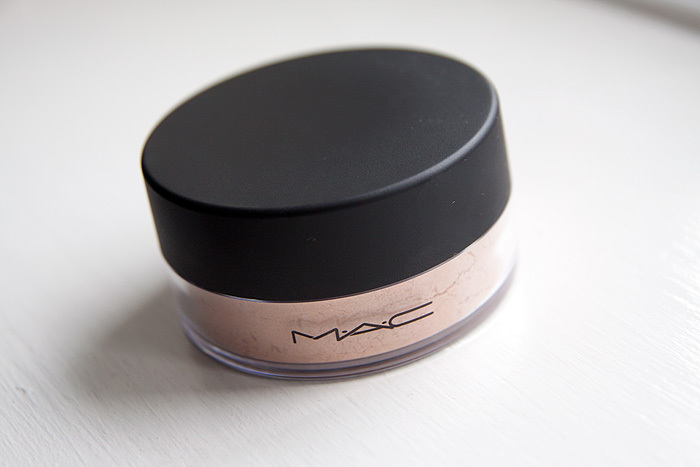 The shimmer that this product imparts is beautiful. 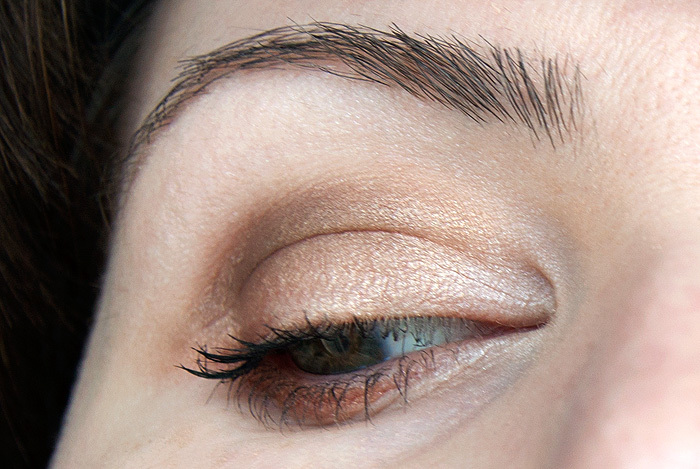 Delicate, rose coloured with gold accents… it’s shimmer for grown ups. 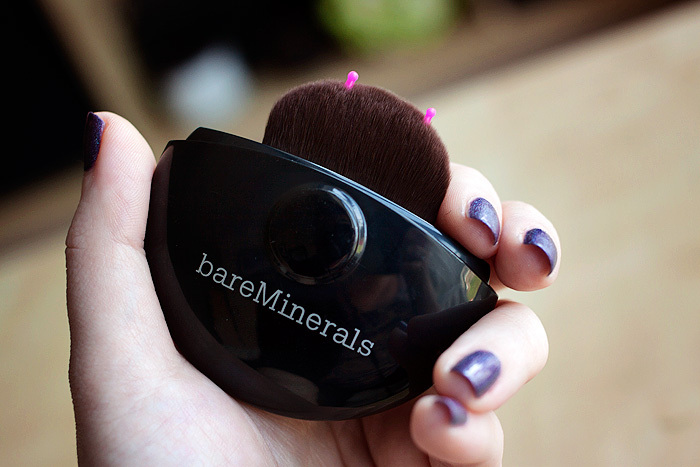 I tap a little into the lid and use my powder brush to dust along my collarbone. 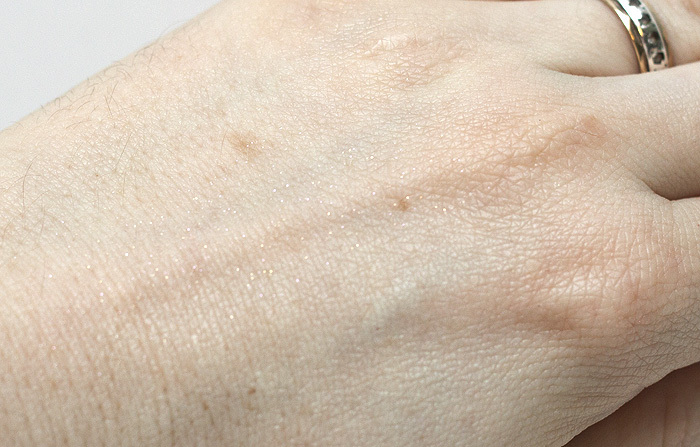 I’ve tried to catch how it looks in the photo below but not sure I’ve done it much justice. 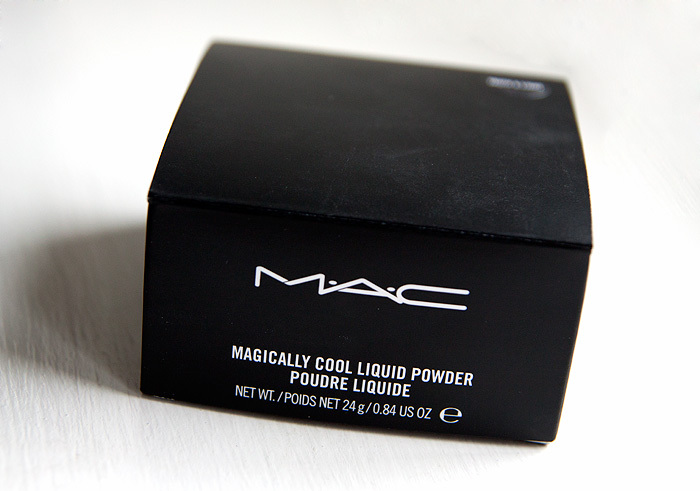 I would definitely repurchase this in a larger size if/when I run out. 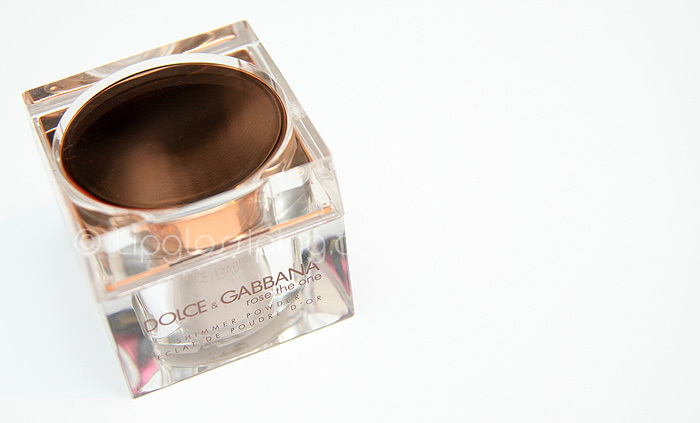 The scent it leaves on my skin is just the right amount and I would imagine that when layered with the complimenting EDP is a force to be reckoned with. 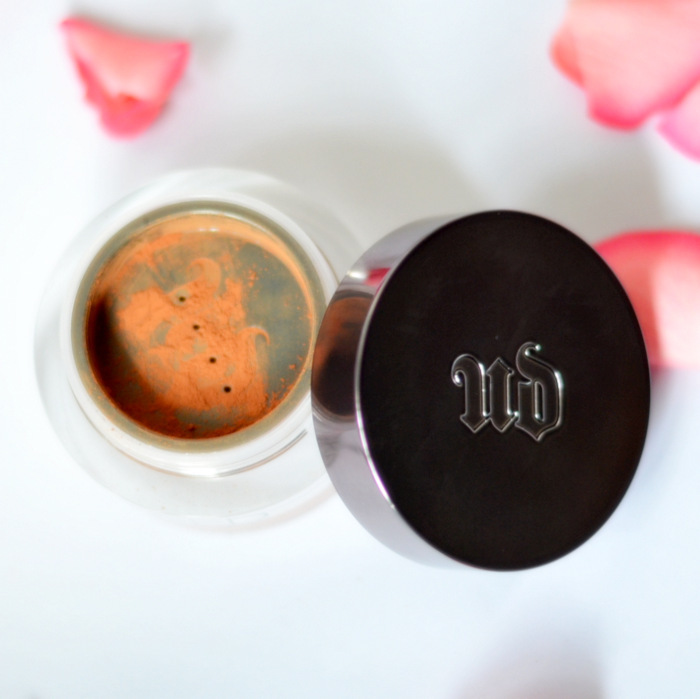 Don’t you just love a good GWP? 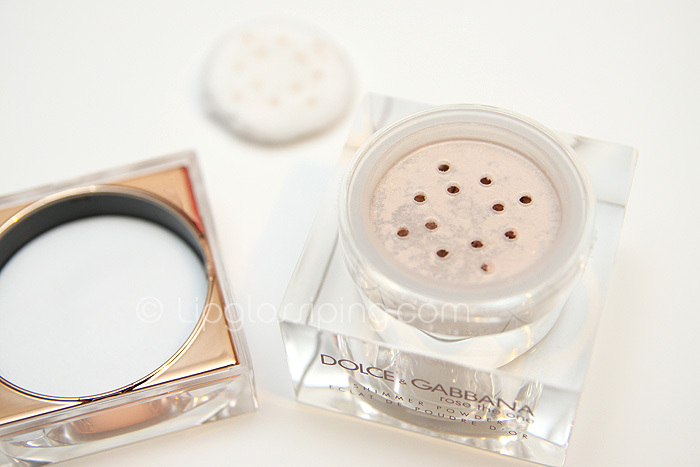 D&G Rose The One Shimmer Powder (in the huge 26g size) is available to buy online from John Lewis, priced at £34.